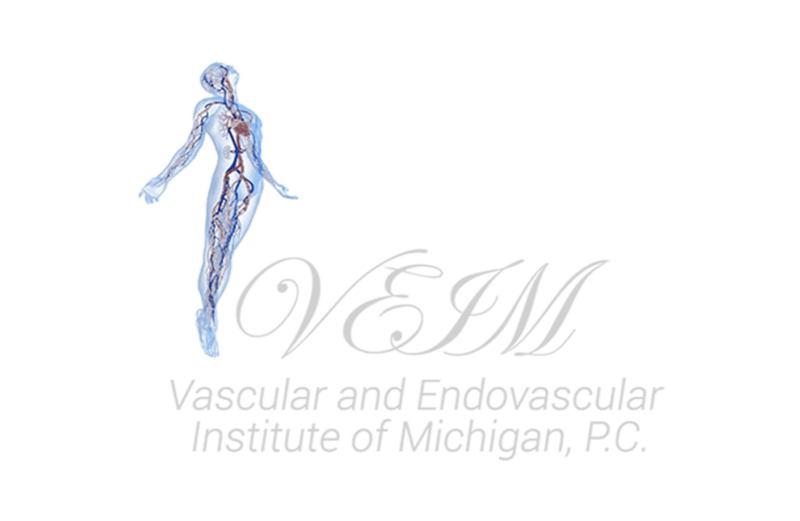 Vascular and Endovascular Institute of Michigan is a state-of-the-art medical facility providing vascular and endovascular treatment to patients in Clinton Township. It operates under the leadership of experienced vascular surgeon Dr. Youssef Rizk. At Vascular and Endovascular Institute of Michigan, patients can expect compassionate care from a team that wants to protect their patients' health and encourages better wellness through an understanding of vascular health issues. The facility uses the least invasive and most up-to-date treatments, helping restore patient health and increase the quality of life with minimal downtime and discomfort. The staff at the Vascular and Endovascular Institute of Michigan is warm and welcoming and provides their patients with a comfortable environment to seek medical care. Dr. Rizk and his team take the time to get to know each patient and present customized treatment options that address their medical condition and the underlying causes. The Vascular and Endovascular Institute of Michigan also recommends their Medi-Spa, which allows more ways for patients to look and feel their best. With treatments like laser vein treatment, skin tightening, varicose vein removal, and laser hair removal, Dr. Rizk and his staff provide aesthetic services alongside the vascular services the center provides. For both vascular health needs and aesthetic services, contact the Vascular and Endovascular Institute of Michigan today. Dr. Youssef Rizk of the Vascular and Endovascular Institute of Michigan provides patients in Clinton Township with a state-of-the-art medical facility for vascular care. With over 15 years of experience, he strives to provide each patient with treatment and diagnostic services with compassion and integrity, knowing that vascular diseases are frightening and, at times, life-changing. In 2009, Dr. Rizk opened the Vascular and Endovascular Institute of Michigan as a private practice. He speaks Arabic, English, and French. He was recently recognized by Hour Detroit magazine as one of the most respected vascular surgeons in the area, landing a post on the magazine's "Top Docs" listing. Dr. Rizk earned his undergraduate degree at the University of Florida in Gainesville, then graduated from Nova Southeastern University College of Osteopathic Medicine in 1995 with a Doctor of Osteopathic Medicine. After moving to Michigan, he completed his postgraduate residency training in General Surgery and Vascular Fellowship at Botsford Hospital. He continued his vascular and endovascular training at Union Memorial Hospital with a fellowship in endovascular surgery. Today, he's board certified in General and Vascular Surgery. He's served on staff at St. John Providence Health System since 2002, and is also a staff physician at the Henry Ford Macomb Hospital and the William Beaumont Hospital. Dr. Rizk is the General Surgery Program Director At Henry Ford Macomb Hospital, he is a professional member of the Society for Vascular Ultrasound, Michigan Osteopathic Association, American Medical Association, Michigan State Medical Society, Oakland County Osteopathic Association, and Macomb County Osteopathic Association. He's also a Fellow of the American College of Osteopathic Surgeons. Today, patients in Clinton Township trust Dr. Rizk and his extensive experience and training to provide superior services as they seek treatment for their vascular diseases and conditions. Patients can also schedule an appointment with Dr. Rizk's Medi-Spa for aesthetic services. Dr. A. George Akingba, MD, PhD, FACS is a Vascular Surgery and Endovascular specialist in the metro-Detroit area. With over 10 years of surgical experience, especially in Vascular Surgery, Dr. Akingba strives to provide each patient with meticulous surgical and exceptional medical care; serving every patient with professionalism, compassion, and integrity. Dr. Akingba earned his medical degree from the College of Medicine University of Lagos in 1995, and his PhD in biomedical engineering from UCLA in 2005. He completed his residency training in General Surgery at Inova Fairfax Hospital, Virginia in 2007 and his Vascular Surgery fellowship training at Wayne State University, Michigan in 2009. Dr. Akingba is board certified in General and Vascular Surgery. He's served on staff at Indiana University School of Medicine and Wayne State University School of Medicine prior to joining St. John Providence Health System in 2017. He remains on staff as an adjunct associate professor in the department of surgery, Wayne State University School of Medicine. Dr. Akingba, is a professional member of the National Biomedical Engineering Society, Institute for Electrical and Electronic Engineering, Society for Vascular Ultrasound, American College of Surgeons, Society for Vascular Surgery, Association for Academic Surgery, and Midwest Vascular Surgery Society. Dr. Akingba has published and presented on several topics in vascular surgery at regional and national society meetings. He also participates in cutting-edge clinical trials in vascular surgery. Patients can schedule an appointment with Dr. Akingba at the following locations using the contact information listed on the website.